3. 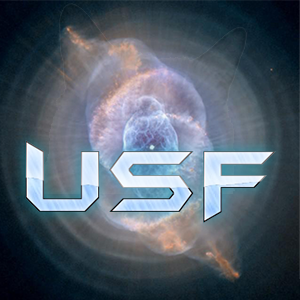 How did you find out about [USF]: I was in different clans that are allies of this clan, and I checked out this clan and it was pretty cool. 4. Were you recruited by someone, If so, state their username: No, I was not recruited. 5. Why do you wish to join [USF]: I wish to join USF, because I feel as if I can be a great asset to USF's pb2 community and be very active. I have multiple accounts and in most of them, I've had over 1000 kills and deaths, so I am experienced in Pb2. 12. Latest and Overall K/D Ratio: 0.72 latest kdr, 0.89 overall kdr. 13. (This answer should be at least 3 sentences.) Give THREE reasons why we should accept you: I am pretty good at pb2 and I will be active everyday in this clan, I will also attend training's if I am online, and also recruitment's. I will also chat in the USF discord server to bring in the fun and activeness of everyone. 14. What will you do to benefit the clan: I will be active everyday in the clan, and I will always attend training's/recruitment's. 15. What are your Skills/Playing Styles: I usually rail and snipe everyday, and I usually either play defensive or rush. 16. Ever been in a clan? If so, list them: TNGR, A.R.C, and DF. 17. Explain why you had left these clans if you were in any: Well, first I left TNGR because I wanted to go back to A.R.C, then someone transferred the ownership to me and then I left and transferred the ownership to coolcat, who was a Co-Owner of A.R.C, and then after that I joined DF and then it got nuked and I couldn't join back. 19. Are you in our Discord server? Also, how often will you be online (daily) in our server and in-game: I'll usually be on daily 2 - 3 hours. 20. How long have you played Plazma Burst 2: I've played since 2014. 22. Out of the following, which faction would you like to be apart of? The United Special Forces Army, Navy or Airforce: Airforce. 23. Have you been in [USF] before? If so, why did you leave: I was younger at the time, so I didn't understand how USF worked, so I left at that time. Application Accepted due to Administrative Abilities. Topic Locked.